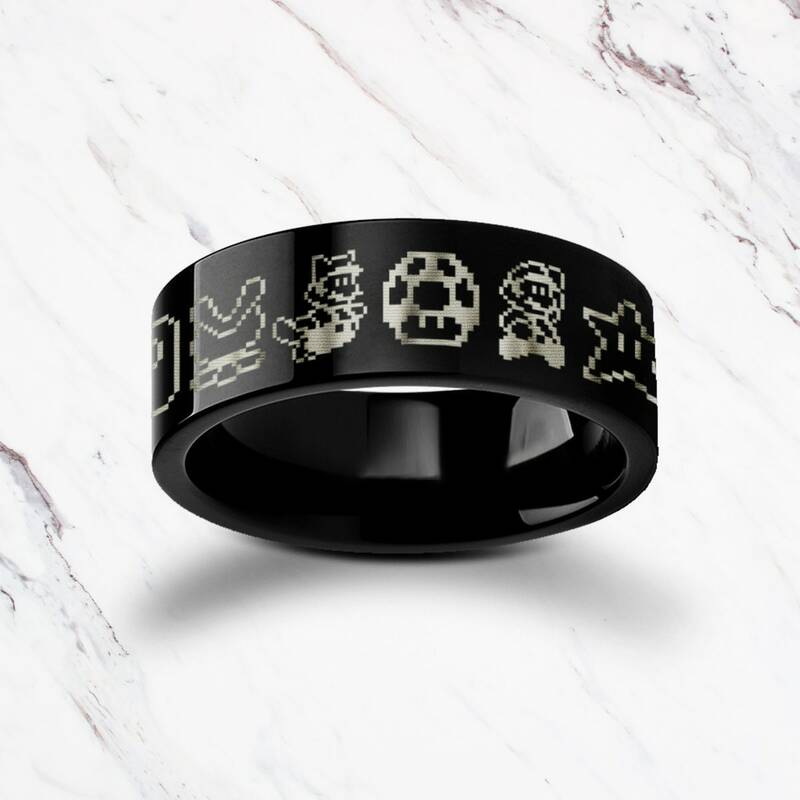 This is a flat polished black tungsten carbide ring with an awesome collection of famous super mario bros characters and symbols in pixel design format. Some well known symbols in this design are Yoshi, Goomba, Racoon Mario and normal mario himself. 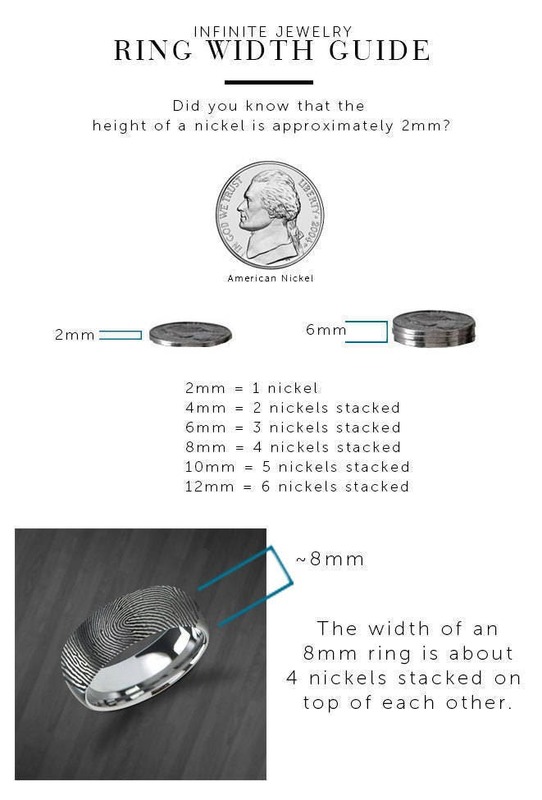 This design is repeated at least once around the ring, multiple repetitions are used to fill spaces.